The "choice" portion of the cooked Country Ham, these 2-millimeter slices are the easiest way to prepare and serve the classic country ham. Perfect for a busy host or hostess. 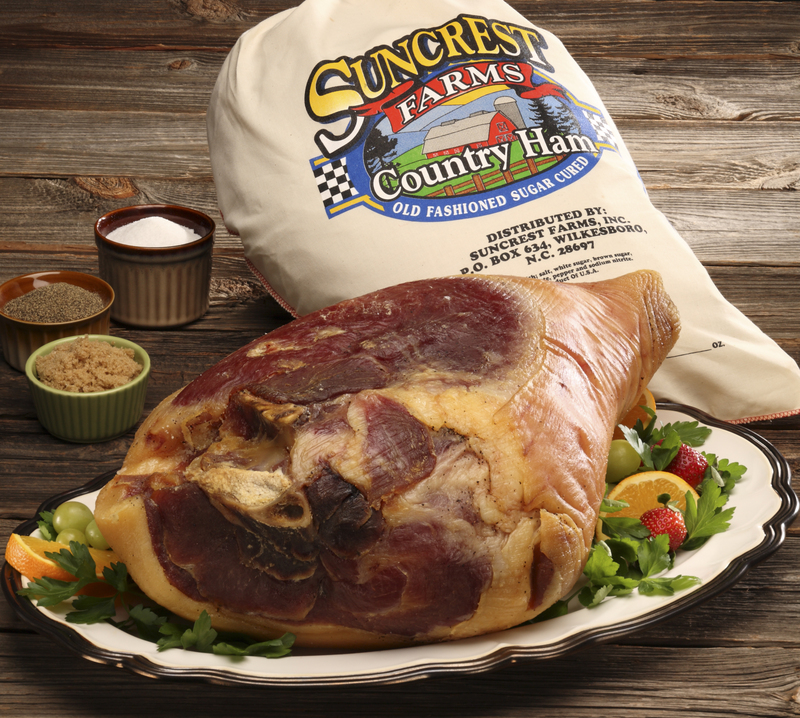 Succulent, hickory-smoked, aged ham slices are fully cooked and ready to serve. Ideal as a main entree, in sandwiches, salads and on a buffet.... The "choice" portion of the cooked Country Ham, these 2-millimeter slices are the easiest way to prepare and serve the classic country ham. Perfect for a busy host or hostess. Succulent, hickory-smoked, aged ham slices are fully cooked and ready to serve. Ideal as a main entree, in sandwiches, salads and on a buffet. For a Derby Day classic, bake frozen tea biscuits (Mary B's is one of our favorite brands), and fill with thin slices of country ham that have been browned in a hot skillet 1 to 2 minutes on each side. Directions. Refrigerate after opening. Cooking Instructions: Cut open package with scissors or knife. Put ham slices in skillet or griddle at 350 degrees for 60 seconds per side.